Products with field-adjustable light distribution (FALD) are eligible to be listed on the DesignLights Consortium Solid-State Lighting Qualified Products List (DLC SSL QPL). Integral Field-Adjustable Light Distribution Products – Products where the distribution can be adjusted by electrical or mechanical means without the addition, removal, or replacement of any parts or accessories. The adjustment must be integral to the product. For example, a luminaire with rotatable light bars to aim the light at different angles would fall under this category. Standard Component Field-Adjustable Light Distribution Products – Products where the distribution is adjusted by adding or removing parts that are included with the product as sold under a single model number. These interchangeable components that come as standard with a single model number are defined as “Standard Components” for this policy. An example for this type of FALD product is a luminaire that is shipped standard with three reflectors under a single model number, and for which the installer chooses one of the reflectors during the installation and stores or discards the other two reflectors. Products where the distribution is adjusted by adding parts that do not come standard with every order – termed “optional components” in this policy – are not considered FALD products and must be submitted under separate applications with separate model numbers for each component combination. The testing and listing requirements are identical for the two FALD types above, as described in the Eligibility, Testing and Reporting, and Listing sections below. SSL QPL applications for FALD products will be required to specify which of the two types above, or both, apply to the product. Products with adjustable light output that do not incorporate adjustable distribution pattern are defined as dimmable and must comply with the Testing and Reporting Requirements for Dimmable and Field-Adjustable Light Output Products. All FALD Products must meet all DLC Technical Requirements except Zonal Lumen Distribution (ZLD) for the Category and Primary Use Designation (PUD) under which they are being submitted across the full range of the product’s light distribution integral settings and standard components. This range includes all adjustment of either mechanical or electrical means including software-based methods, and all possible combinations of distribution-adjusting parts that are included standard under a single model number. If a Standard Component FALD product may be installed without any distribution-adjusting component attached, then the product must meet all DLC Technical Requirements for the Category and PUD under which is submitted both with and without any Standard Components. Exception to the above rule for evaluating light output of High Bay and Low Bay FALD products: for both new luminaires and integrated retrofit kits within the High Bay General Application, products will be deemed to meet the DLC Technical Requirements for light output if they meet the DLC Technical Requirement for minimum and maximum light output for any Primary Use Designation within the High Bay General Application. Some PUDs—for example, High Bay Luminaires for Commercial and Industrial Buildings and Low Bay Luminaires for Commercial and Industrial Buildings—differ only in light output, with requirements above and below 10,000 lumens respectively. If field adjustment to the light distribution causes the light output of a High Bay product to cross below the 10,000-lumen threshold, that product shall still be eligible as long as it meets the light output requirement of the Low Bay PUD, i.e. as long as it maintains light output above 5,000 lumens. All FALD Products must meet the DLC Technical Requirements for Zonal Lumen Distribution (ZLD) for the PUD under which they are being submitted at one light distribution setting of the manufacturer’s choosing, meaning at one integral adjustment setting and/or one combination of distribution-adjusting Standard Components. The product is not required to meet the ZLD requirements at other light distribution settings. For Products that include both Integral FALD and Standard Component FALD, the tested integral light distribution setting should be suitable for the intended use of each light distribution-adjusting component or accessory and need not be identical across all light distribution-adjusting accessories. Products that include both FALD and Optional Components that adjust light distribution – A product meeting the FALD definition above may also be offered with optional components or accessories that can be ordered separately or as an option within a unique model number for further adjusting its light distribution. Such product must be submitted as a separate application line item with a distinct model number for each distribution-adjusting component combination, each of which is treated as a FALD Product. Listing a product under Multiple PUDs – As with non-field-adjustable products, any product that can meet the Technical Requirements of multiple PUDs and for which the manufacturer seeks qualification and listing under multiple PUDs must be submitted on separate applications for each PUD with the necessary testing and application materials for each PUD it is to be listed under. FALD products will only be classified as DLC Premium if they meet all DLC Premium classification requirements for the Category and PUD under which they are being submitted. FALD products that fall under other DLC product Category and Primary Use eligibility rules, such as Color-Tunable or Dimmable products, are additionally subject to those respective Testing and Reporting Requirements. Please note that if the control that results in different distribution results in significantly different light output, provisions of the Dimmable and Field-Adjustable Light Output policy also apply. FALD products are only eligible to be submitted as “Family Grouping” DLC application types, and submittals must conform to the following testing rules in addition to the requirements of the family grouping policy. Testing must be provided sufficient to bracket all products in the group per the DLC family grouping requirements. Required testing is summarized below, with the full requirements for each type of FALD Product described in detail below the table. For the purposes of this policy, the worst-case light distribution setting means the combination of the Integral FALD setting and the component combination for Standard Component FALD that together result in the worst or extreme value for the specified requirement. For all FALD products, testing shall be conducted in the light distribution settings that result in the worst-case performance for each of efficacy, wattage, lumen output, power quality, and thermal In-Situ Temperature Measurement Testing (ISTMT). The combination of product and FALD setting tested must result in the worst-case performance within the family for each tested value and may require testing at multiple FALD settings: up to three LM-79 tests, one power quality bench test, and two ISTMT tests. In-Situ Temperature Measurement Testing (ISTMT) is required for the product and FALD setting combination that results in the worst-case thermal condition. If applying for Premium, ISTMT is required for the product and FALD setting combination that result in the worst-case driver thermal condition. The Manufacturer shall provide photometric distribution data that meets the Zonal Lumen Distribution Requirements of the PUD for which it is being submitted in .ies file format. Every family member must produce at least one photometric distribution that meets the PUD’s ZLD requirements. Manufacturers will be required to identify the submitted .ies file that represents, for each family member, a relative photometric distribution that the family member can achieve. Each identified .ies file must meet the PUD’s ZLD requirements. This IES-file-to-product correlation information shall be contained in a separate document, uploaded within the application portal, under the section in the “Documents” tab of the application titled “Additional Documentation Required for Field Adjustable Light Distribution (FALD) Products”. Manufacturers may use the DLC-provided template, or their own reporting document, as they desire. Is the product capable of field-adjustable light distribution? The applicant shall indicate in the application form, one of the following: “Integral FALD”, “Standard Component FALD”, “Integral and Standard Component FALD”, or “No”. The manufacturer shall complete a new field in the application form describing the Adjustable Distribution Setting designated to meet the zonal lumen distribution requirement for the PUD. This description will be displayed on the QPL in a new text field. The manufacturer shall describe in a separate document the adjustable setting position and/or the Standard Component combination that was used for each worst-case test submitted, and shall provide a written statement to justify why this setting and/or combination creates the extreme- or worst-case value in this test for each of the 8 requirements above (9 for Premium classification). The description and justification shall be provided for each test in this separate document, uploaded within the application portal. A separate document with justification is required even when the Integral distribution setting or Standard Component combination is also included in the test report. Please see note below for how to document the setting(s) with “aimable” products. Note: All products where the light direction or intensity can change in the field, including “aimable” products like floods and track lights, are considered to have Field Adjustable Light Distribution as of March 7, 2019. For Flood and Spot Luminaires and Track or Monopoint Luminaires, where aimable capabilities are the norm, and where ZLD evaluation is relative to the center beam rather than to the environment, DLC will expect most technical justifications to describe that while the product is aimable, the characteristics of the beam are otherwise static, and therefore beam performance is expected to be nominally constant in different “settings” (aiming orientations). The application form should note these products as “Integral FALD” in the “Field Adjustable Type” column, and note the orientation they were in during goniophotometric testing in the “Adjustable Distribution Setting” column. The DLC will evaluate manufacturer’s claims of FALD capability by ensuring that the adjustability claims are clearly published in the product specification sheet(s) and correspond with the unique model numbers submitted. The DLC will also evaluate the manufacturer’s product installation instructions to determine eligibility. Documentation must include instructions for adjusting light distribution, including any required device or software. The instructions must be the same ones provided to the intended market actors or consumers who will be making the light distribution adjustments. DLC reviewers may check web listings and other marketing materials and reserve the right to request additional information to demonstrate capability if information in product specification sheets is not sufficient. FALD products will be identified as such under the “Product Features” tab on the SSL Qualified Products List (QPL) as either “Integral FALD”, “Standard Component FALD”, or “Integral and Standard Component FALD”. FALD products will be listed on the QPL at the light distribution setting that produces the worst-case efficacy, with the following product performance characteristics from that LM-79 testing at that setting: light output, watts, efficacy, THD, power factor, CRI, CCT. The Zonal Lumen Distribution listing on the QPL for each family member will be calculated from the .ies file designated by the manufacturer as applicable to that family member. The highest power consumption reported on the worst-case wattage LM-79 test will be listed on the QPL in the Max. Tested Wattage field for the tested family member. The highest power consumption provided for each family member on the application scaled performance table will be listed on the QPL in the Max. Wattage field. Note that the FALD policy states that products will be listed at the lowest-efficacy setting, while the Field Adjustable Light Output (FALO) policy states they will be listed at the highest output (most consumptive) setting. In the event a product falls under both FALD and FALO policies, and that the lowest efficacy setting and the maximum output setting are distinct, products will be generally listed at the lowest efficacy setting, with maximum possible wattage provided in the Max. Wattage fields (rated and tested, as appropriate). A new text field, Adjustable Distribution Setting, will be added on the QPL for Integral FALD products to document the light distribution setting or Standard Component configuration designated by the manufacturer to meet the zonal lumen distribution requirement for the PUD. Historically, some product features that now fall under this policy – such as “aimable” products – were considered eligible before the implementation of the field-adjustable light distribution policy. These products will remain listed on the QPL and will default to not being noted as having field-adjustable light distribution unless the manufacturer takes action to update the existing listing as noted below. 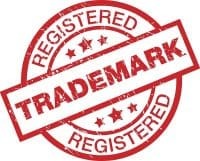 Following the effective date of this policy, new submissions of products meeting the eligibility requirements of this policy will not be eligible for listing except under these field-adjustable provisions; the prior method for qualifying “aimable” products will not be available. Updates to products listed prior to 3/7/2019 will be allowed without meeting full submission provisions of this FALD policy. Manufacturers who desire to update their “aimable” listings to reflect that their products are field-adjustable under the definitions in this new policy will be allowed to do so by submitting an update application, which requires spec sheets, installation instructions, a current application form, and any necessary testing to cover the products per the policies above. This update will be assessed an application fee per family group according to the individual characteristics of the update, including the number of additional tests needed to verify that the products pass all requirements. Administrative updates to the listing will be charged update fees according to the “dimming update” fee schedule. Products which were originally not presented as field adjustable, but which are seeking to update as field adjustable (for example, due to a design change), will be required to submit new, complete Family Grouping applications to update their listings. The DLC may, in a future revision to the Technical Requirements, mandate that products that qualified prior to adoption of this policy be updated to current listing requirements. When a FALD product is selected for surveillance, performance across the full range of adjustment and all combinations of Standard Components should meet DLC requirements at any tested position or Standard Component combination with exception to ZLD. The DLC may test the product(s) at up to 3 adjustment positions/settings or configurations, and the product must meet DLC requirements (excluding ZLD) for any tested position per this policy.